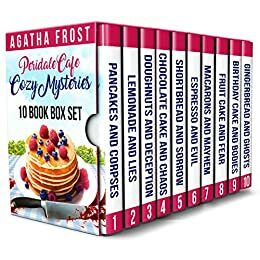 Cozy Mysteries 10 Book Box Set: The Peridale Cafe Series - Kindle edition by Agatha Frost. Mystery, Thriller & Suspense Kindle eBooks @ Amazon.com. 10 CLEAN & FUN BESTSELLING COZY MYSTERIES BY AGATHA FROST TO ENJOY! 2500+ pages! Grab the first TEN books in the Peridale Cafe series together for the first time! 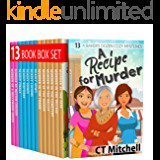 "Any reader of cozy mysteries will enjoy this book!" "This series grabbed me right from the start. I just love the characters!" Julia never expected to be caught up in another murder investigation, but when she discovers that homeless people are dying suspiciously and the police aren't investigating, she can't sit back and do nothing. 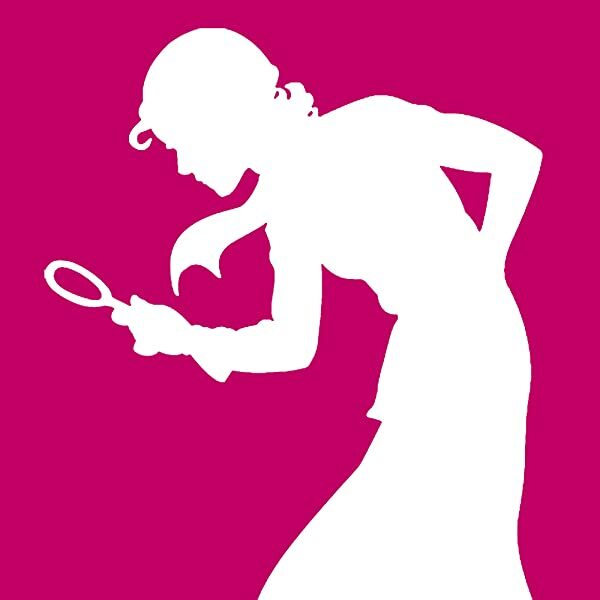 After promising her young lodger, Jessie, that she will do everything she can to help, Julia finds herself diving headfirst into the case, aided by her new Detective Inspector boyfriend, Barker. Sure there is a serial killer preying on the vulnerable residents of an old burnout warehouse, Julia must act quickly to get to the bottom of the mystery, but can she crack the case before more bodies turn up? "I couldn't turn the pages fast enough!" "The Peridale Cafe series is one of the most enjoyable series in the cozy mystery genre!" Each book can be read as a standalone but will be enjoyed more as part of the series. A light, cozy mystery series with a cat loving and cafe-owning amateur female sleuth, in a small village setting with quirky characters. Written in British English. No cliffhangers, swearing, gore or graphic scenes! Granted, I am a speed reader, yet two hours to finish a book falls more into the novella category than a full novel. Lesbians in the first book, gays in the third - not my cup of tea. I bought this because I can no longer afford to pay $5 or more for one Kindle book, but this purchase of ten was still a waste of $3.99. I do not like the characters: cocky main who knows everything, love interest who smirks, shop help always looking-down-her-nose, overly nosy and self-righteously gossipy relatives. I gave the second book a chance, though found myself skimming through some of it, and paged through most of the third just to get to the end so I am not wasting any more of my time on the remaining seven in this collection of Peridale Cafe mysteries. Looks like I am going to have to pay the $5 or more and just read fewer books. 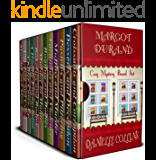 Agatha Frost’s cozy mystery series set in the village of Peridale is one of my favorites! I love the setting, which she describes so well that I feel like I am right there throughout every book. I love the characters and their relationships with each other and how the characters and the relationships develop and grow with every book. The mysteries are interesting and plausible but unpredictable. I have never been able to guess “who did it” but it has always made perfect sense. There have been 3 more books in this series released since the 10 in this set. I love this series and can not wait for the next book! I very highly recommend this series to all cozy mystery lovers! I can’t begin to say enough good about these good clean murder mysteries. They remind me a bit of Murder, She Wrote but even better. I bought the box set of 10 on a whim and I’ve already bought 11, 12, and 13. Can’t get enough of Julia and the citizens of Peridale. How in the heck can so much happen in one little village? The books were interesting to read. The two things I did not enjoy about them were the smirks and the fact that Julia always solved the murders before the police who are trained in doing so. The books would have been better if the police at least solved a few of the murders before she did. 5.0 out of 5 starsExcellent series!!!! This series is the first cozy mysteries that I ever read and I love them! Julia and her bakery, her family and friends are just really fun to read. The mystery and how she solves things are always interesting! Grab these and catch up with all the comings and goings in Peridale! 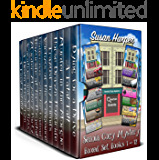 This is a ten box set of cozy mysteries. I enjoyed reading every single one and couldn't wait to find out what happened next. Even at just one, it was well worth the cost, but with this one you get ten! The writing is neat. The story lines and characters are well thought out. 5.0 out of 5 starsI couldn’t put these down! 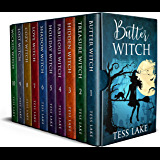 This box set was a joy to read - characters very likable and the stories with enough twists to keep you guessing although you KNOW the HEA is coming. I love Hallmark movie mysteries and this was that type of collection- in fact I hope Larry Levinson gives them a look especially with second and third generation spin offs already there. 5.0 out of 5 starsFantastc!!! Easy fun reading and great mysteries that keep you guessing!! Romance that's not sexual and murders that aren't bloody messes! Don't miss these! I even bought the last three to finish the series!😎 Enjoy!